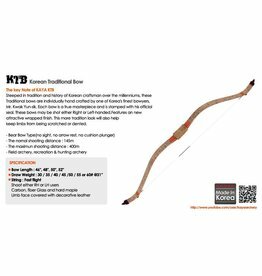 The Kaya Traditionl Bow is is a handcrafted masterpiece of Korean workmanship. Made of carbon, fibreglass and maple. This bow can be used either RH or LH. Comes with bag, string, glove and some arrows.